Adoption is one of the most admirable life events we have the pleasure and duty of supporting, however, get this beautiful mission accomplished; you’ll be dealing with so many mundane and bureaucratic procedures. Whether you work with a private adoption or through an agency, an adoption attorney is essential, because a permanent adoption is a court action. Adoptions can be a complicated process. The family law attorneys in Salt Lake City, Utah at Wasatch Defense can explain and make all the arrangements needed during the adoption process. Contact us to schedule your free consultation today! Adoption in Utah is a complex process. There are the forms, the inspections, the visits. And there are volumes of state legal code within the Utah Adoption Statute and Law (often simply called the Adoption Act). The Department of Child and Family Services oversees Utah adoptions according to the state adoption laws. A married couple or a single person is eligible to adopt a child. The single person, or at least one spouse in the couple, must be older than the adoptee by ten years or more. A spouse may adopt a stepchild after the child has lived with the stepparent for one year. Adoptions take at least months to finalize and will take at least a year if the adoptive child is a stepchild. Children who are at least 12 must consent to be adopted. Our office will draft the plan to terminate parental rights to any other legal or birth parents. Until then, you will assume the full duty to ensure your new child’s welfare, without having a parent’s rights. It is essential to have a lawyer’s support and avoid errors in the process of transferring these rights. The process changes multiple lives at once. 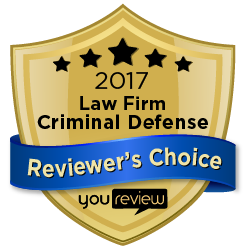 Should any surprises happen, an experienced adoption lawyer can support you through unforeseen hurdles. Now, let’s walk through the process from termination of the birth parents’ rights to the final adoption. Birth parents sign the consent to adoption (including, where necessary, denial of paternity). We file signed documents with the court, requesting termination of parental rights. A judge orders the termination of the child’s previous parents’ rights. We file the petition for our client to adopt the child. We receive a hearing date. We come to court with the client and the adoptive child on their scheduled adoption day. The adoption is final when the judge signs the order! In an open adoption, the birth and adoptive parents know each other’s identities. They might decide to meet and to communicate with each other. In contrast, in a closed adoption, the birth and adopting parents do not exchange contact information. They might meet and offer their first names, but in other respects, they will retain anonymity from each other. In some cases, a private individual, referral service, or facilitator enables the process. The pitfalls here may involve the higher possibility of a placement falling through. The child is living with you before the adoption is final. So the worst-case scenario is having to give up a child you’ve come to know as yours. Utah deems state-licensed adoption agencies the best starting points and the best bets for total follow-through. They must adhere meticulously to the Adoption Act, and ensure compliance with every administrative detail. Everything should go right for adoptive parents and their child. 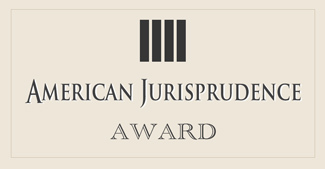 But the care needed in the legal aspects of adoption cannot be overstated. Throughout the United States, the number of adoptions that fail is consistently 10-25%. Your adoption is much too important to fail. Get a free, confidential case review regarding your adoption case. 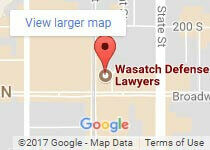 Wasatch Defense Lawyers will make an interpreter available if you need one, and we offer affordable payment options. Call us today at 801.980.9965. And let us become your support system, dealing with the regulations and law, so you can focus on officially welcoming the new member of your family.